A decade ago, the topic of how to wear denim to work was one style authorities would tip-toe around delicately. 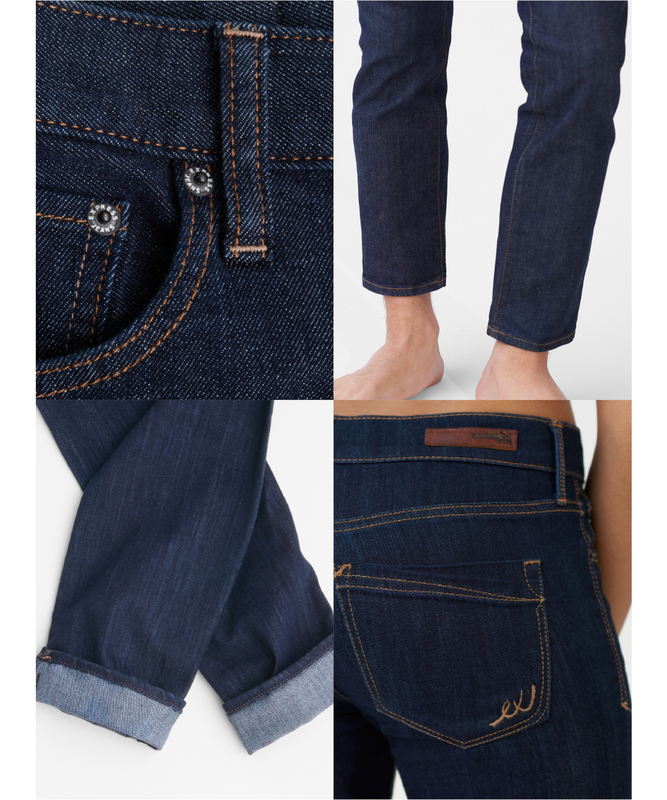 For the most part, denim had to be dark, slim, and only worn on Casual Friday in an already casual workplaces. Today? In 2018? It’s almost anything goes, in almost every industry. But while you’re much freer to express yourself with denim today, common sense is still very much a part of getting dressed. Meaning, it might not make sense to wear your Sunday morning dog-walking attire to the big Monday-morning meeting. Here, a few rules we think are still worth observing, even while all the rest have been (mercifully) tossed out the window. There’s nothing wrong with wearing jeans to work, it’s letting a pair of pants push you into full-on lazy Sunday mode that’s the problem. Your secret weapon against denim-induced style laziness? 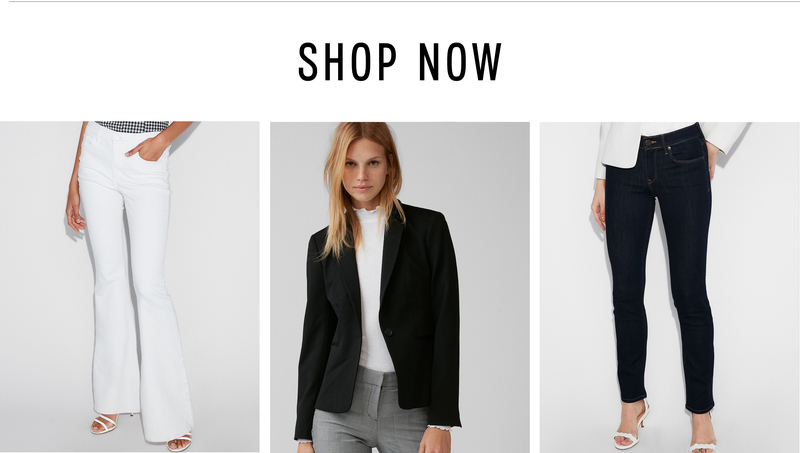 A boss blazer that instantly classes up everything you own (think: double-breasted cuts and strong hues). It may feel as easy to slip on as your favorite college sweatshirt, but those shoulder pads are sending a different message. Namely, “I’m in charge here”. 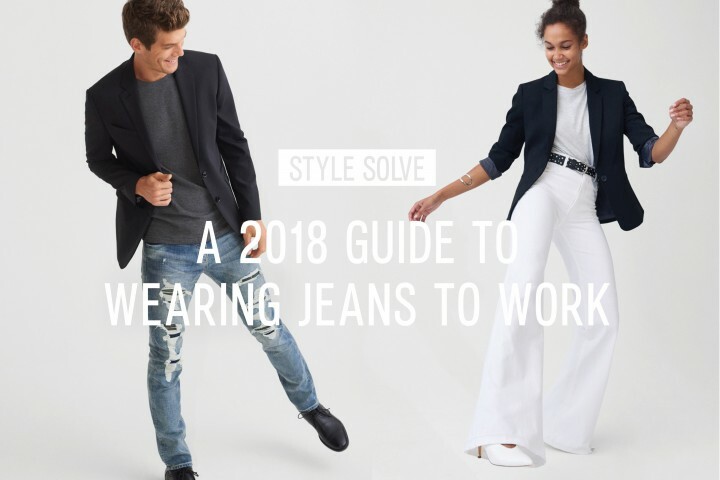 Work-appropriate jeans don’t have to be dark, slim, and straight, but they do have to fit well. That’s why it’s worth it to try on multiple sizes before you buy, go for denim that has a bit of stretch for a better fit, and pop by to see your tailor for one final zhush before debuting them at work. Your tailor can make sure the hem hits you right where it should, eliminating most of the break at the ankle, and even take in the waist, seat, or thighs if you need it too. 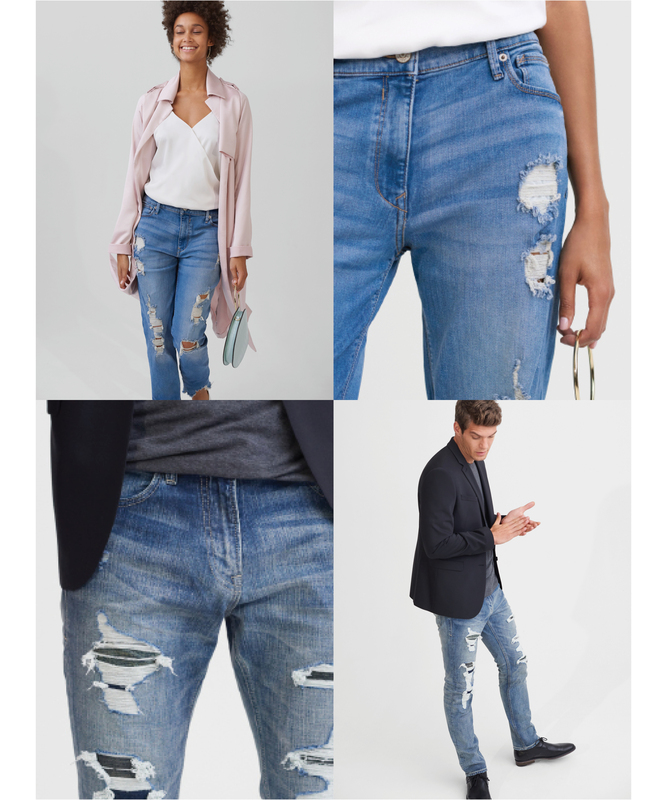 Your oldest jeans that are all but falling apart at the seams from years of wear-and-tear might not be fit for the office, but that doesn’t take all distressing off the table. Tasteful tears, patchwork, and embroidery can and should make a cameo at work on occasion, especially if you style them up for the conference room instead of the concert stage. A button-down shirt, or that cool blazer we talked about earlier, are both great ways to balance out this denim trend’s edgy attitude.